A new terror group by the name “New IRA” is starting with their deadly task. Two men have been arrested today over last nights car bombing in Northern Ireland’s Londonderry in the U.K. 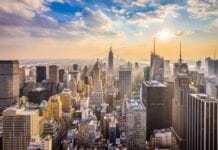 Authorities believe the militant group “New IRA” may be responsible for the blast. 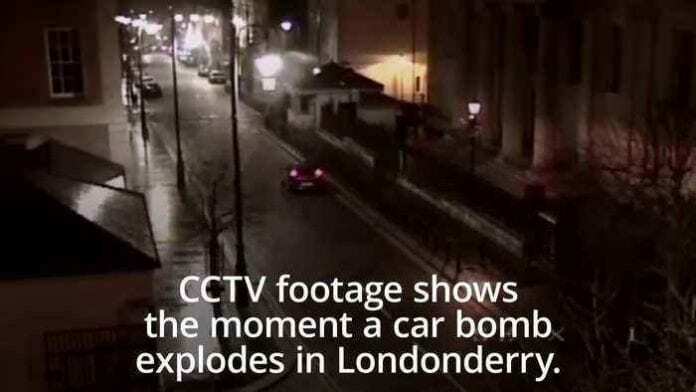 CCTV shows the moment of a car bomb explosion in Londonderry. The Police Service of Northern Ireland released the clips after two arrests were made in connection with the blast.